If something that is sealed in a package like a frozen pizza unthaws mostly or partially before you get it home to the freezer, can you still safely put it in freezer for later use? You're basically asking if you can refreeze something that has thawed. It doesn't matter if it's a frozen pizza, homemade meal or meat there are two factors at hand, is it safe and will the texture be OK. I have written more about refreezing food before but here are the Cliff Notes version for you. First let's talk about safety. 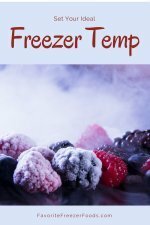 Foods that need to be refrigerated, most stuff except baked goods, fruits and vegetables need to be kept under 40 F. So if it's warm you probably need to toss it. If it's started to smell bad you definitely need to toss it. And if in doubt it's better to toss it than get sick. Texture changes some when food is frozen because the water in the food expands, some things then become watery when thawed and refreezing them changes the structure more. As a general rule of thumb if a raw meal thaws cook it and freeze it again, assuming it was kept cold enough of course. If a pre-cooked meal freezes you should try to eat it right away given the same assumption that it's still safe. This helps with food safety and with texture. As for a frozen pizza that you're bringing home from the store I wouldn't worry about it if it just thaws slightly during the drive home. 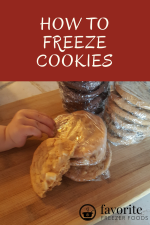 Now if you run errands or get held up in traffic on the way home and it has a long time to thaw you might want to cook it before freezing it or just eat it right away. If you know you have a long drive try to bag all the frozen stuff together. You can also put a cooler in your car and put frozen and cold stuff like milk, cheese, yogurt, ice cream and pizza in there.